What Does a DOT Physical Exam Consist Of? Asking yourself, “What does a DOT physical exam consist of?” FastMed can provide the information to your question and conduct the examination in our modern facility without no appointment necessary. Wondering What the DOT Physical Exam Consists Of? The driver’s medical history and current state of health (mental and physical) will be taken into account during the physical exam. 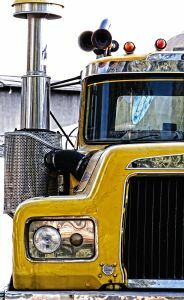 A DOT physical exam consists of a certified medical professional completing an exam that will determine whether or not the driver is fit for work through an evaluation process relating to the daily job duties associated with a commercial driver. The DOT physical also has a drug and alcohol component, which tests for various drugs and the current alcohol level of the driver during the exam. FastMed is the most convenient option for a driver on-the-go and our certified medical professionals are dedicated to completely and thoroughly evaluating each patient. No appointment is necessary and the modern facility provides a warm, welcoming and inviting environment for all visitors. Stop by your local FastMed and see why it is the best location for your DOT physical exam.